55+ Discover this lovely patio home in Anthem Ranch. Built in 2018! Newest open floorplan with beautiful quartz counters & cherry cabinets, soft-drawer pulls, stainless appliances, huge kitchen island. Spacious expanded great room with gleaming wood floors. 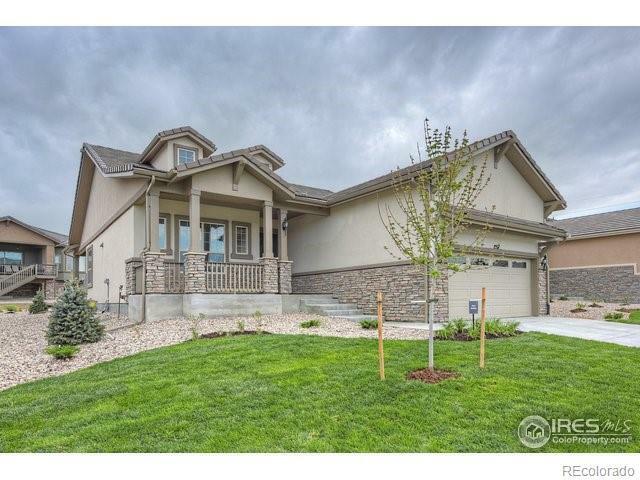 Luxury master en-suite w/huge shower, radiant heat floor, large walk-in closet. Expanded covered deck-perfect for summer dinners. Cozy gas fireplace. Epoxy surfaced garage floor. Turn-key, move in condition. Over $160,000 in upgrades!